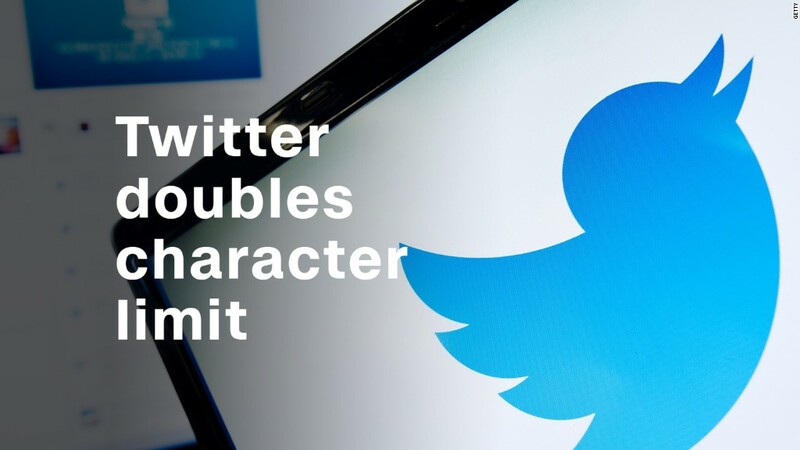 The company announced on Tuesday it is doubling how many characters users can cram into a tweet. Like many Twitter (TWTR) changes, some users complained about the move. The new character length won't apply to Japanese, Korean or Chinese-language tweets. Those languages can convey twice as much information in less space, so tweets will remain at 140 characters, Twitter said. Of course, the change means America's highest-profile Twitter user, President Trump, will have more space. Twitter cofounder Biz Stone had said the prolific Twitter user was not in the test group. The move modifies a fundamental aspect of Twitter. Aside from the test, the social network's character limit hasn't changed since the company launched in 2006. The 140-character length wasn't a random choice: Twitter's founders wanted tweets to fit in a text message, which can only hold 160 characters. So Twitter chose 140 characters for the tweet, and 20 characters for the user name. During the 280-character test, some users argued Twitter should focus less on the length of the tweets and more on the content. The platform continues to be rife with harassment and abuse, despite the company's efforts to better police it.